The credo of The Compassionate Friends, an international organization of bereaved parents, says, "You need not walk alone." You will probably discover, if you haven't already, that you can benefit from connecting with people who also have had a death in their lives. 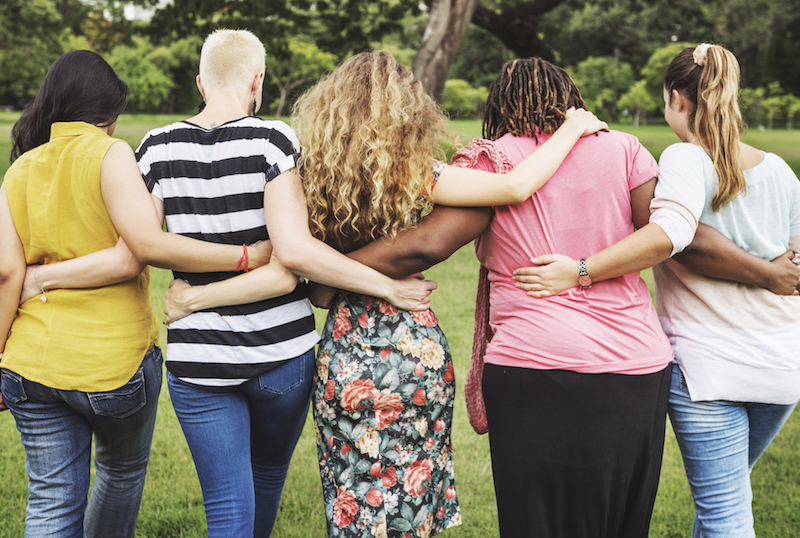 Support groups, where people come together and share the common bond of experience, can be invaluable in helping you heal. In these groups, each person can share his or her unique grief journey in a non-threatening, safe atmosphere. Group members are usually very patient with you and your grief, and they understand your need for support long after the actual death. You might think of grief support groups as places where fellow journeyers gather. Each of you has a story to tell. Your dispatches from the wilderness help affirm the normalcy of each other’s experiences. You also help each other build divine momentum toward healing. To find a support group in your area, call your local hospice, hospital, funeral home or call the National Self-Help Clearing House for a local referral. Remember that a support group may be just one element in your support system. Some people benefit from seeing a counselor as well as joining a support group. 1. Group members acknowledge that each person's grief is unique. They respect and accept both what members have in common and what is unique to each member. 2. Group members understand that grief is not a disease, but is a normal process without a specific timetable. 3. All group members are made to feel free to talk about their grief. However, if some decide to listen without sharing, their preference is respected. 4. Group members understand the difference between actively listening to what another person is saying and expressing their own grief. They make every effort not to interrupt when someone else is speaking. 5. Group members respect others' right to confidentiality. Thoughts, feelings and experiences shared in the group are not made public. 6. Each group member is allowed equal time to speak; one or two people do not monopolize the group's time. 7. Group members don't give advice to each other unless it is asked for. 8. Group members recognize that thoughts and feelings are neither right, nor wrong. They listen with empathy to the thoughts and feelings of others without trying to change them. As a professional grief counselor, I have been privileged to have thousands of grieving people reach out to me for help. Among other important lessons, they have taught me that sharing their grief with others is an integral part of the healing process. I hope this has helped you understand the importance of reaching out for help when you are grieving. Please don’t try to confront your grief alone. You need companions—friends, relatives, counselors, others who have experienced a similar loss—who will walk with you as you make the difficult journey through grief. Alan Wolfelt, Ph.D., is an author, educator and grief counselor. He serves as director of the Center for Loss and Life Transition in Fort Collins, Colorado and is on the faculty at the University of Colorado Medical School in the Department of Family Medicine. Recipient of the Association for Death Education and Counseling’s Death Educator Award, Alan writes and teaches about the philosophy of “companioning” versus “treating” people experiencing grief. He has contributed over 25 books on grief and loss, including The Journey Through Grief: Reflections on Healing, Understanding Your Grief, Healing the Bereaved Child, Healing Your Grieving Heart and Creating Meaningful Funeral Experiences. He enjoys offering small-group retreat-oriented learning experiences at his Center for Loss. Alan presents dozens of workshops each year throughout North America.